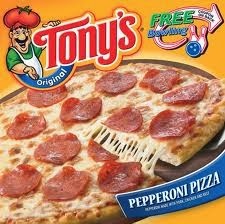 When it comes to frozen pizza, Tony's ranks at the TOP of my list. There's a NEW coupon that you'll want to take to SAVE $$$$ at Walmart. At Walmart, you'll find Tony's pizzas for $1.98 making them ONLY $1.60 each when you buy 2.